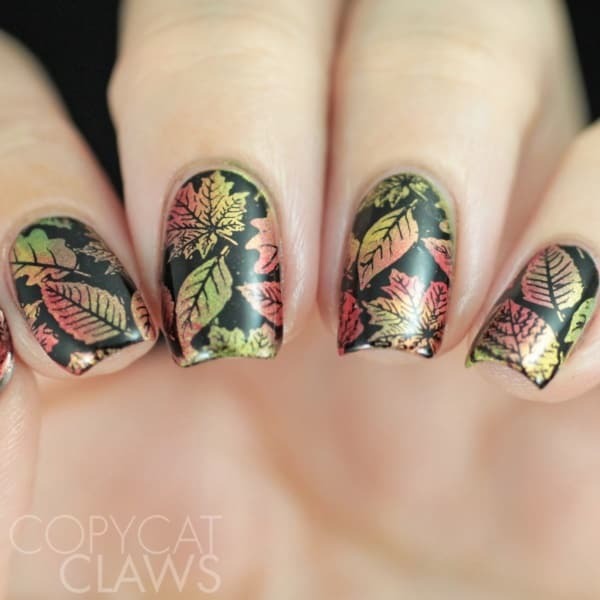 When it comes to Fall Nail Art Designs, fig leaves bear extra special importance. 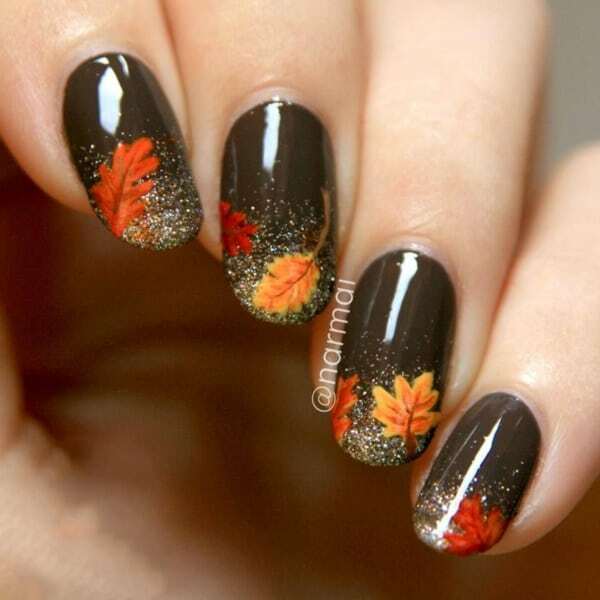 The mere sight of these leaves reminds us of the fall season. 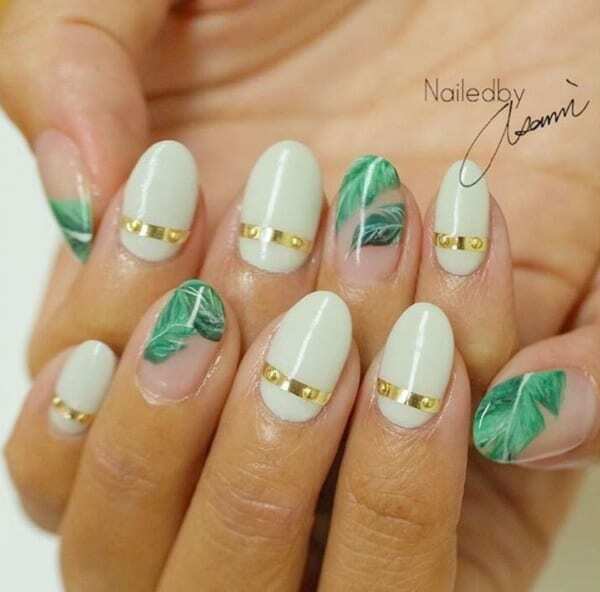 Now, can there be anything more appropriate for fall fashion than nails painted with fig leaves? Perhaps not! 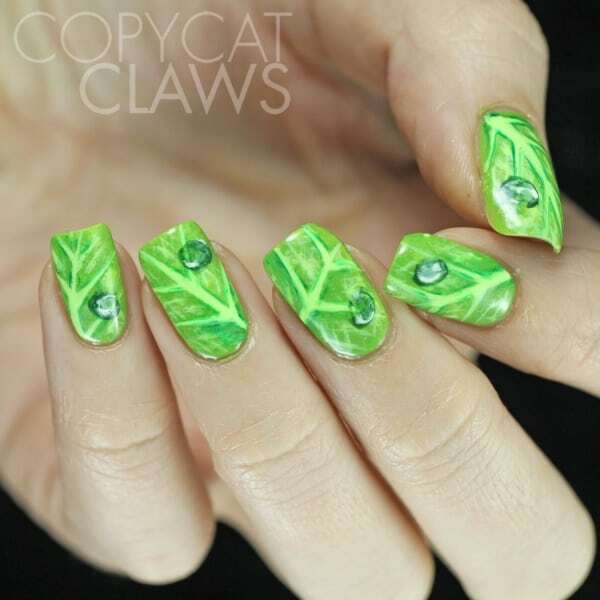 And thankfully, there is no dearth of fig leaf nail designs that you can try out. 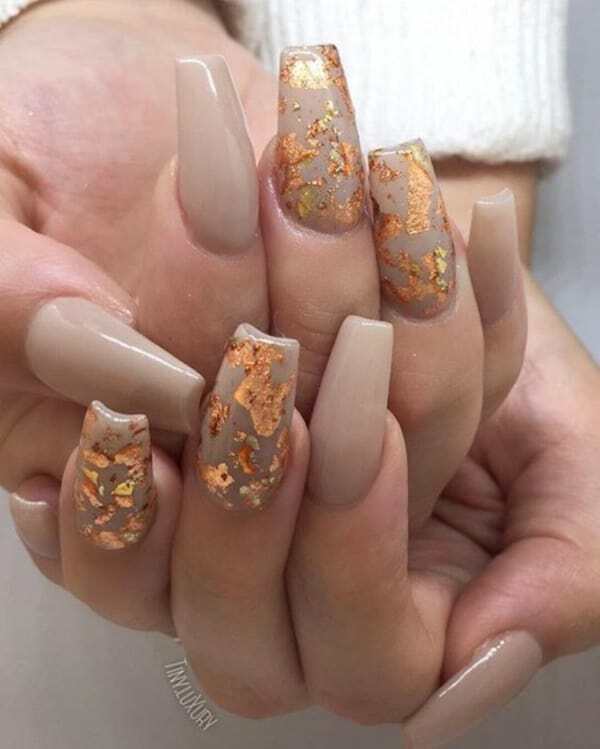 Whether you cover your entire nail with a single fig leaf or you choose to paint many together depends entirely on your personal choice. 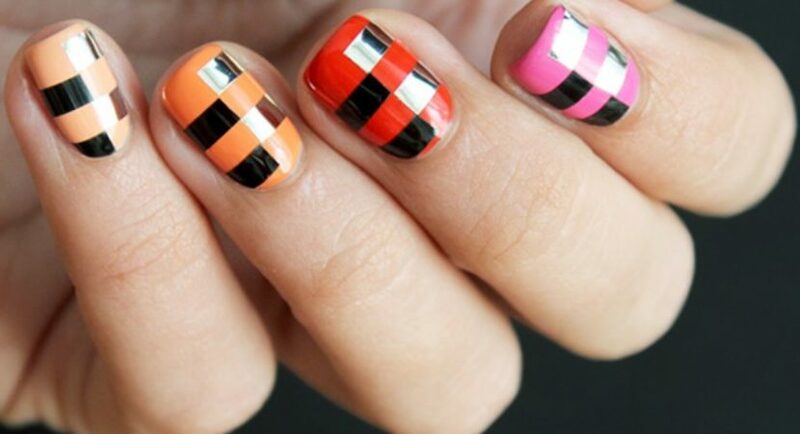 But irrespective of which one you try, your nails are going to look gorgeous. 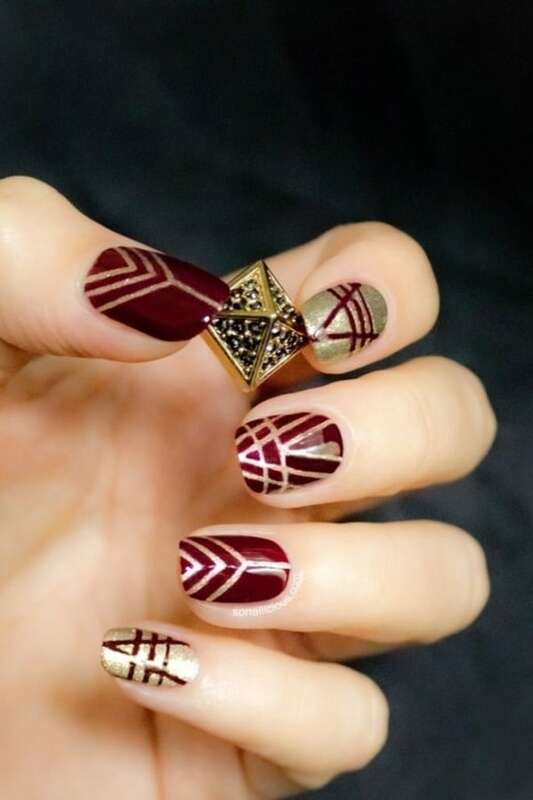 Although there are many designs for Fall Nail Colors Ideas, this one has oodles of uniqueness in it. 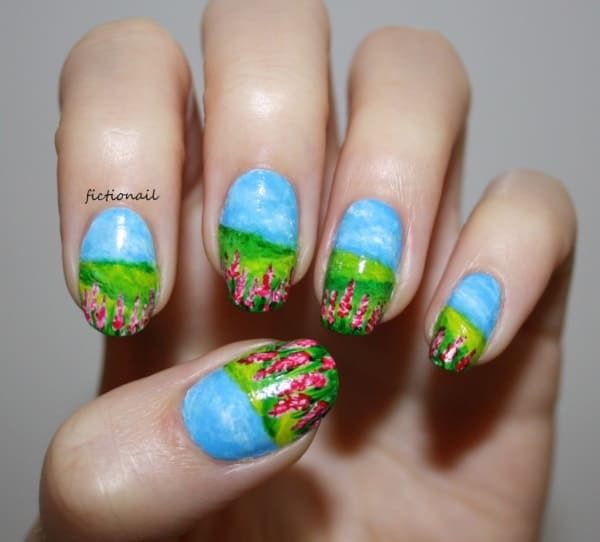 So, what you do is take any simple fall landscape and then paint it across your nails. 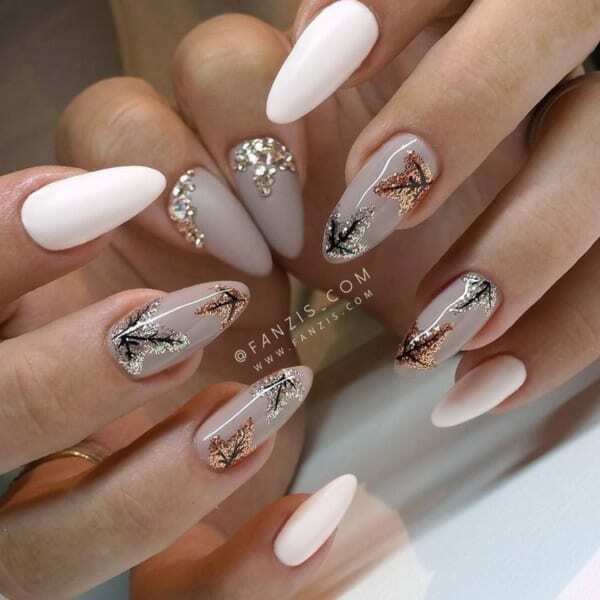 All your nails together form the canvas on which you paint. This idea is absolutely amazing and is quite a rage these days. Fall landscapes are appealing to the eyes. 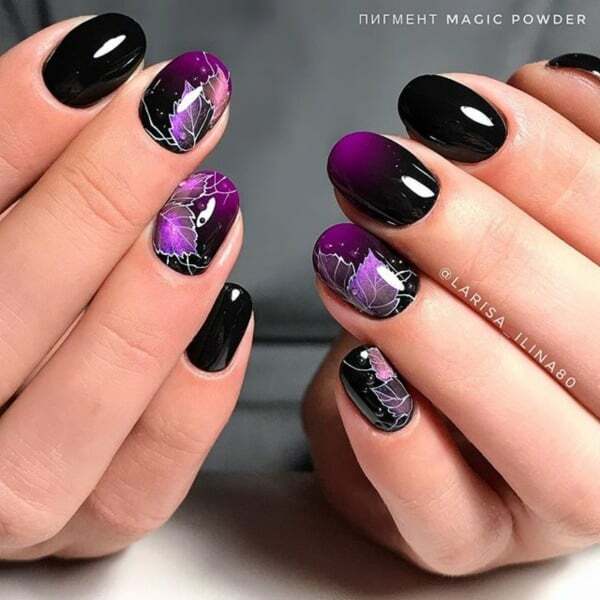 And when painted on nails, their visual appeal grows hundredfold. The fall season is all about plants, even though it’s mostly about falling leaves. 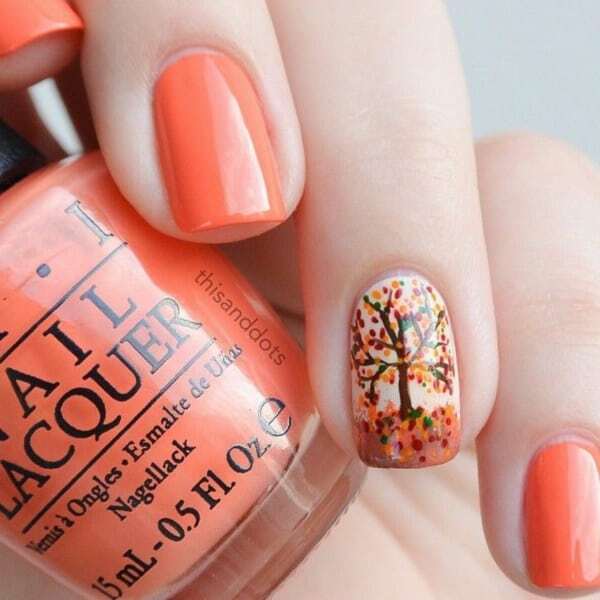 But if the phenomenon of leaves detaching from trees seems too depressing to you, you can choose to get some flowers painted on your nails. 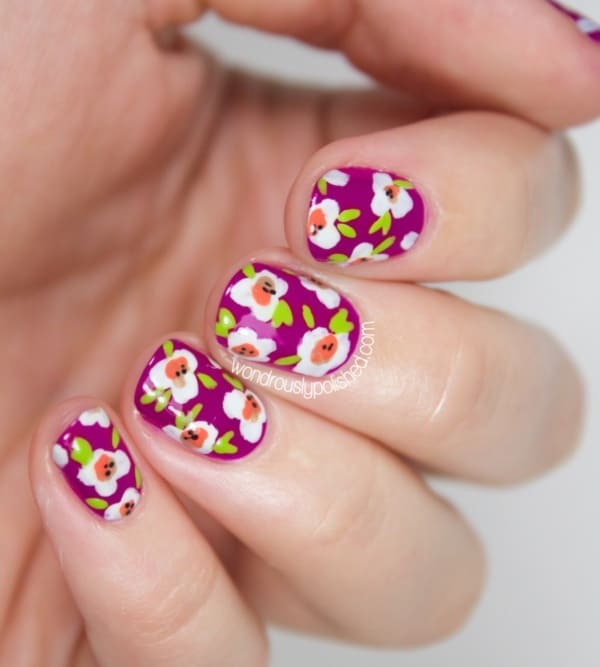 Yes, we are talking about floral patterns. 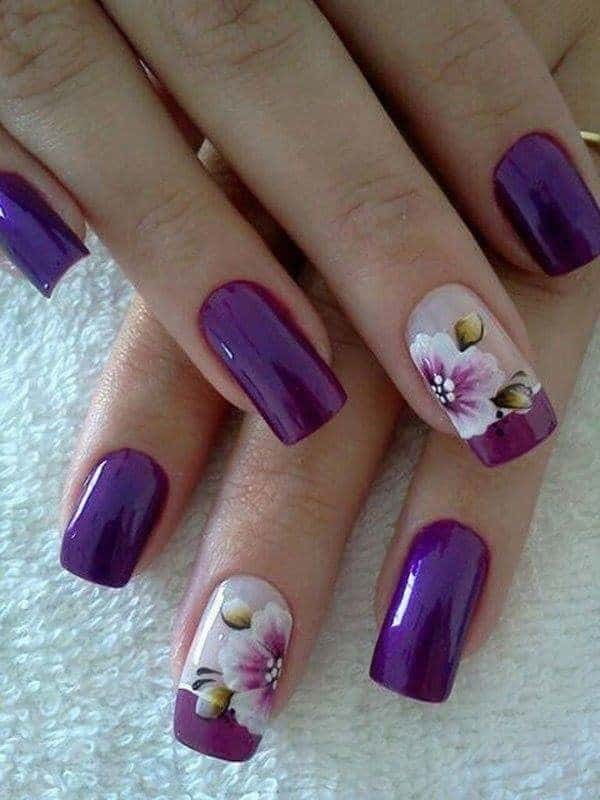 floral patterns have a kind of liveliness no other nail design has. 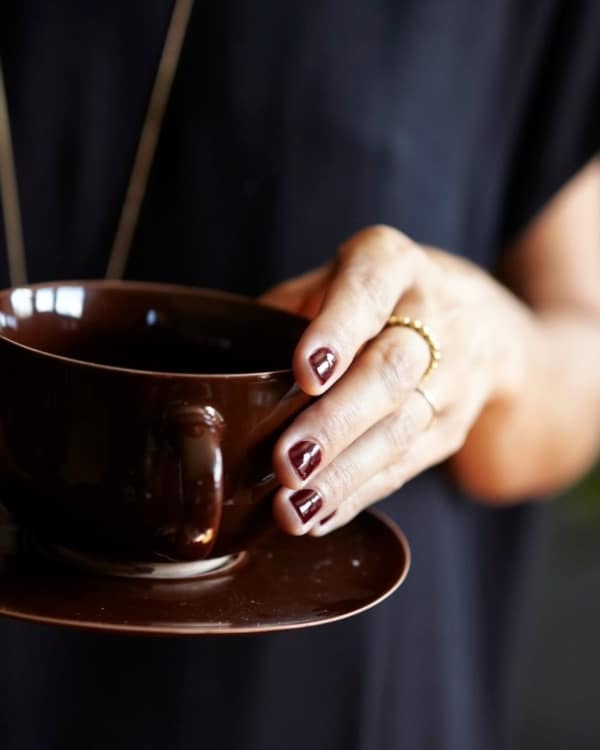 Fall is a way to usher in the chills of the winter season. 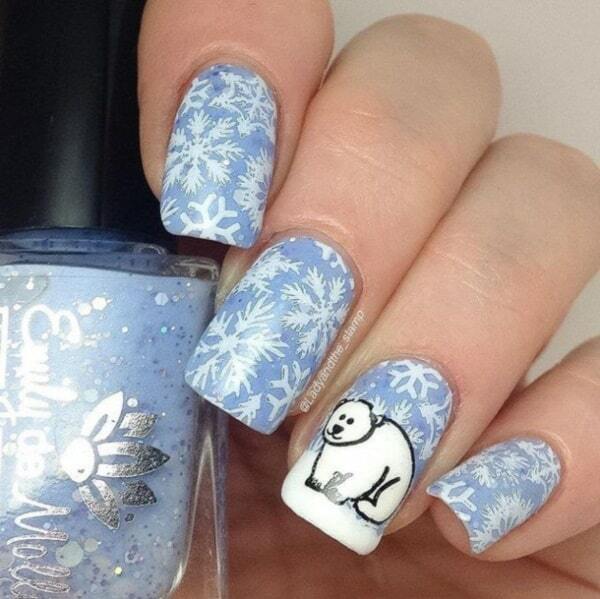 And that is probably why women fondly go for wintery neutral colors to design their nails. 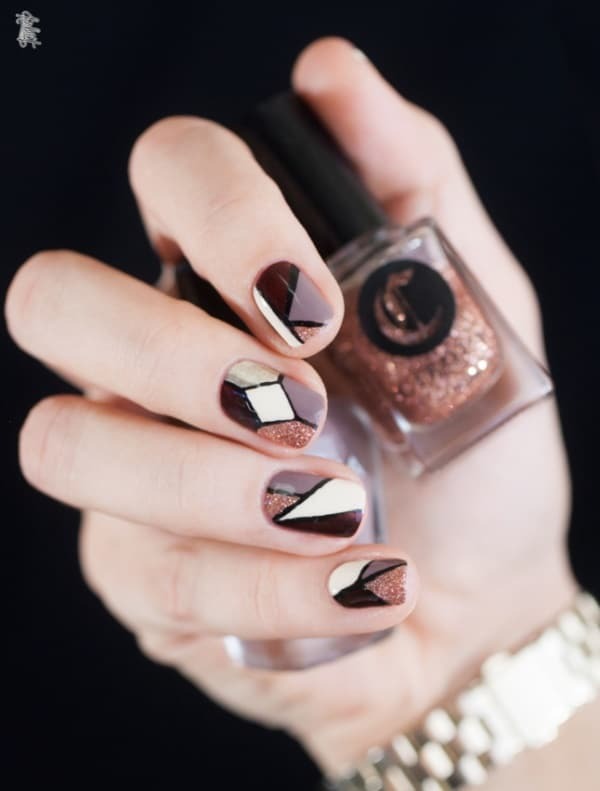 Yes, any good design done with neutral shades is a big thumbs up. 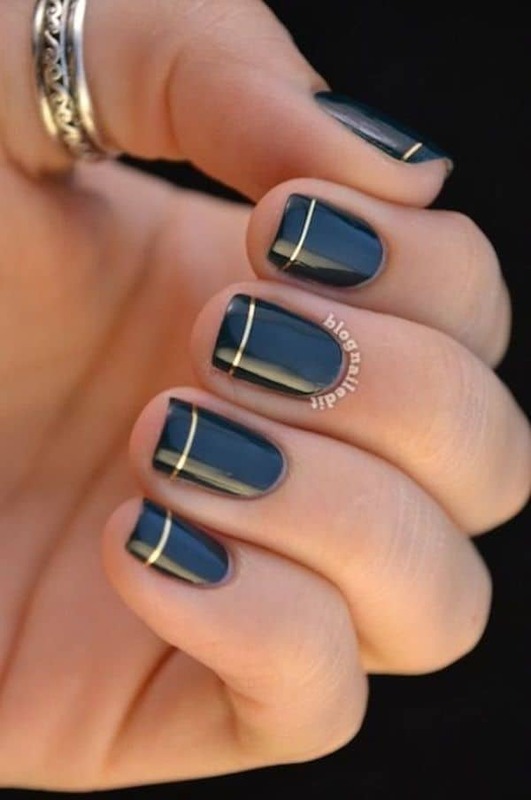 Go for it if you want your style to be subtle, simple and charismatic- all at the same time. The fall is a transition period between the summer and the winter. 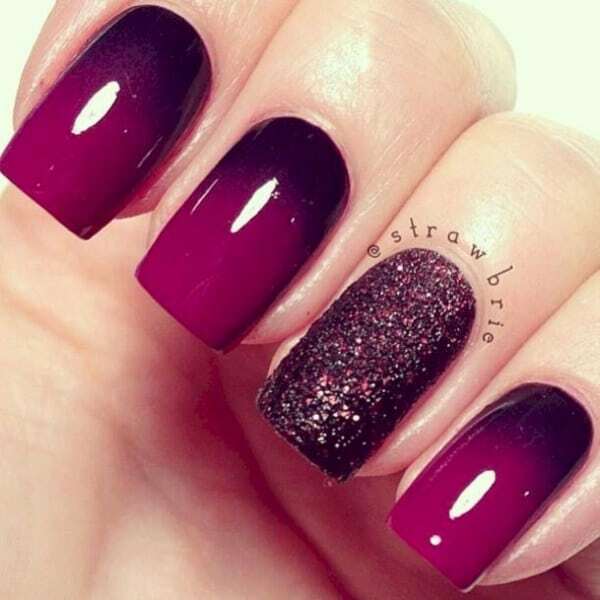 And with the popular ombre effect, you can beautifully represent this transition phase on your nails. 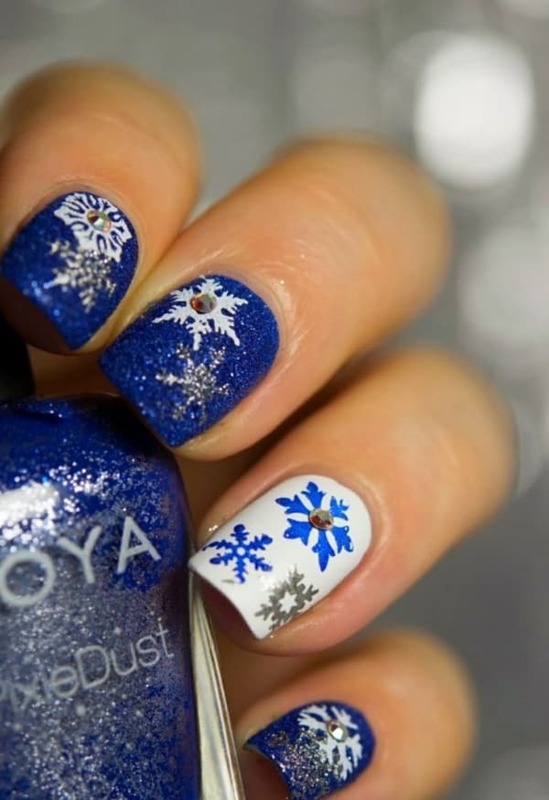 You can go for warm as well as cool hues, the color doesn’t really matter. 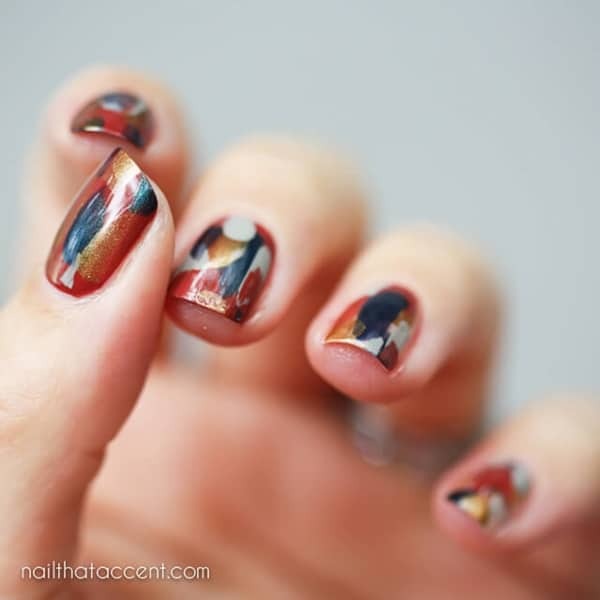 In fact, you can also create intricate designs over that ombre base. 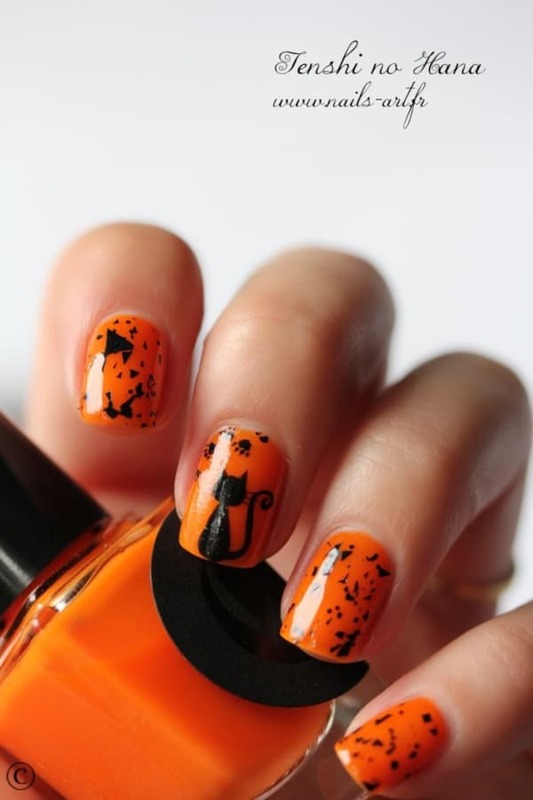 While a chunk of women population celebrates fall with neutral colors on their nails, others like to go bold. 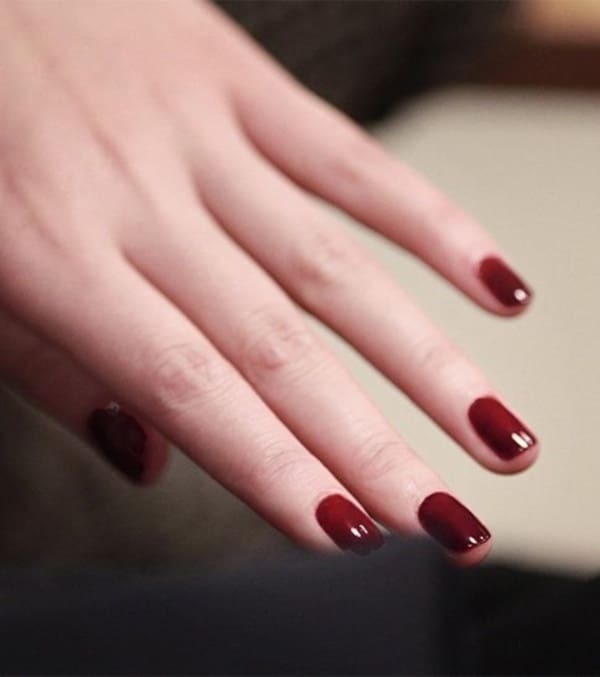 If you are among the latter, then an oxblood red manicure is what you need to ooze out that fall effect. 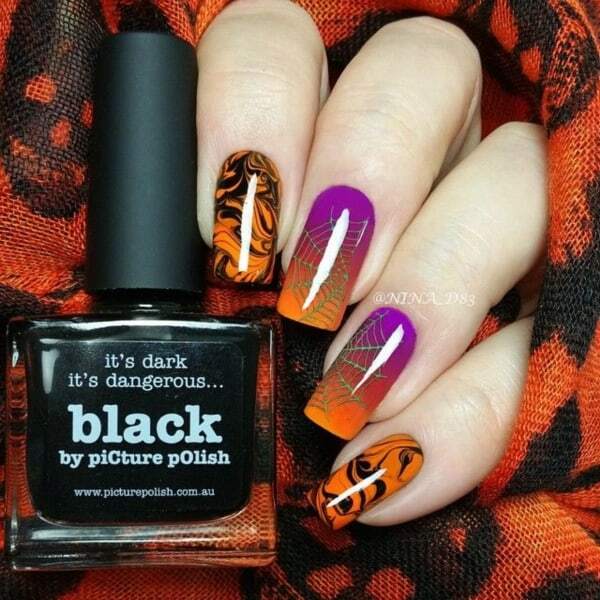 With fall comes festivities. 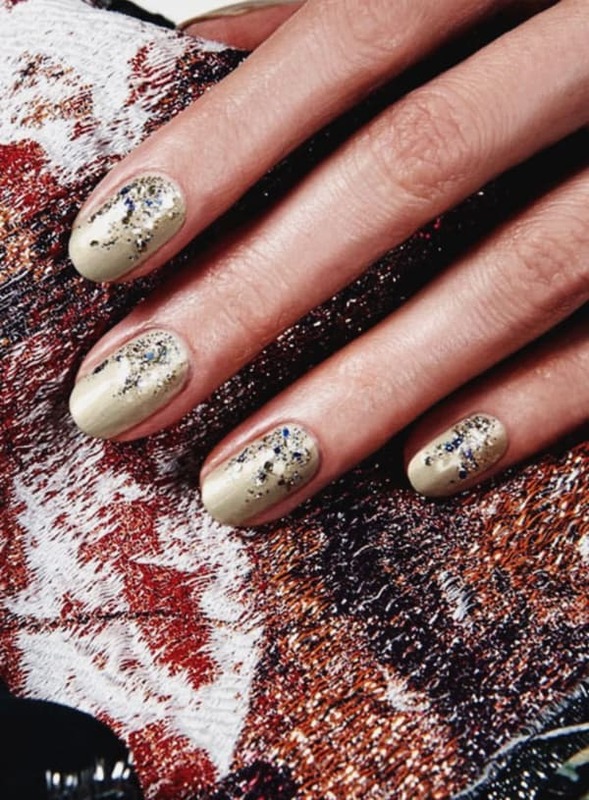 And to mark the importance of festivities, you can go for glittery manicures. 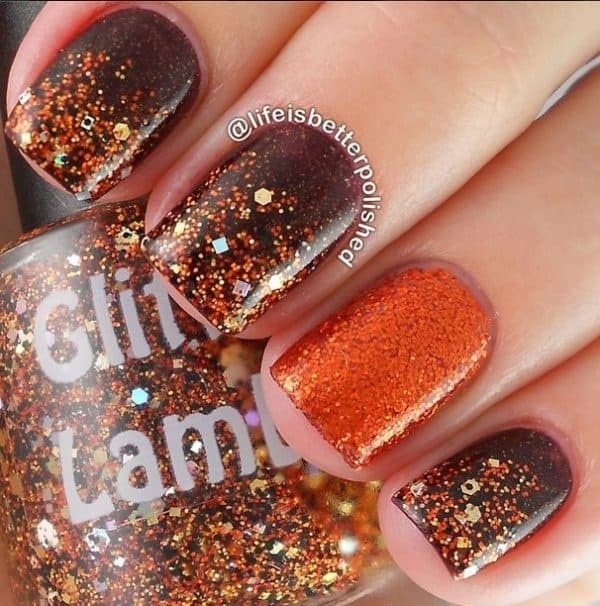 Yes, glitters were, are and will be in. After all, they add effortless charm to any woman’s personality. 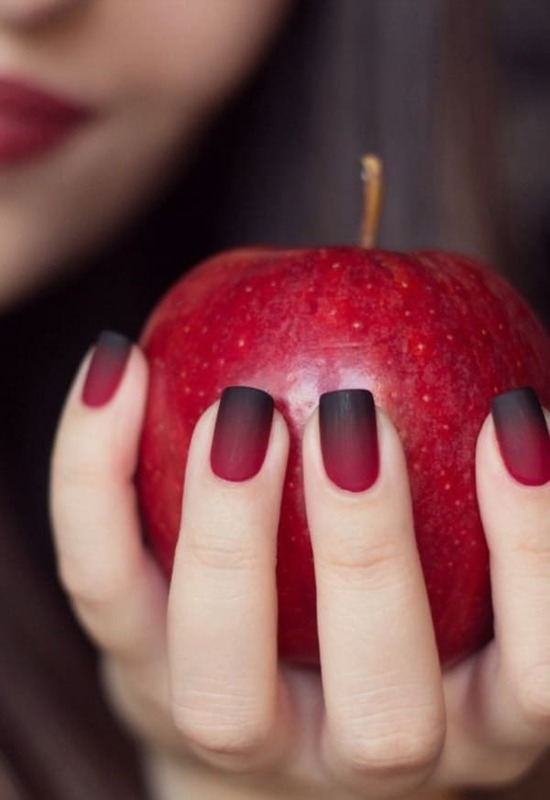 Fall Nail Colors Ideas like the ones listed above are cool and trendy. They score a perfect ten on ten on the style scale and are loved by women and men alike! Want proof? 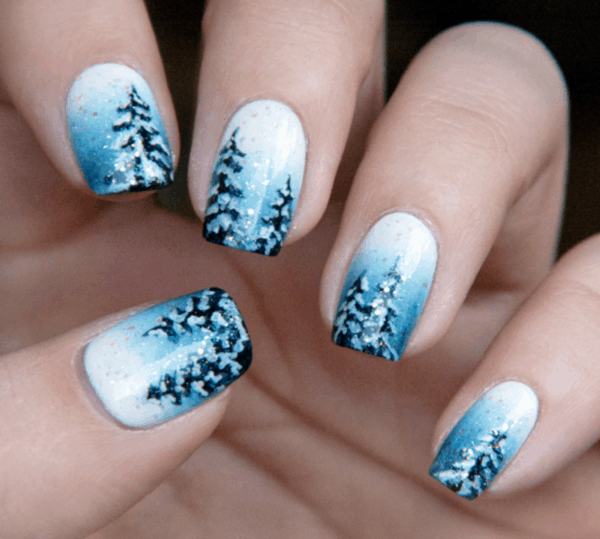 Try any of these manicures, and the male members in your life won’t be able to stop pouring compliments on you.